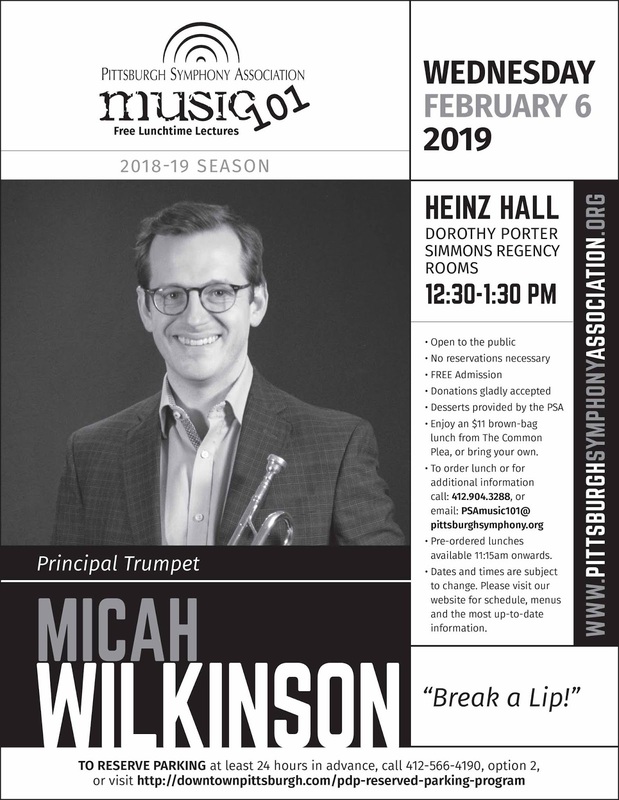 Pittsburgh Symphony Association: BREAK A LIP! Lunch reservations due Feb. 1. Go to PittsburghSymphonyAssociation.org for more information.